If you liked this show, you should follow History of the Batman. Your Dark Knight Archivist is back from her summer hiatus with new episodes! Londyn talks with prolific writer Chuck Dixon! Dixon has contributed so much to the Batman mythos, starting with Tim Drake's solo publication "Robin" to his run on Detective Comics introducing the character Stephanie Brown! 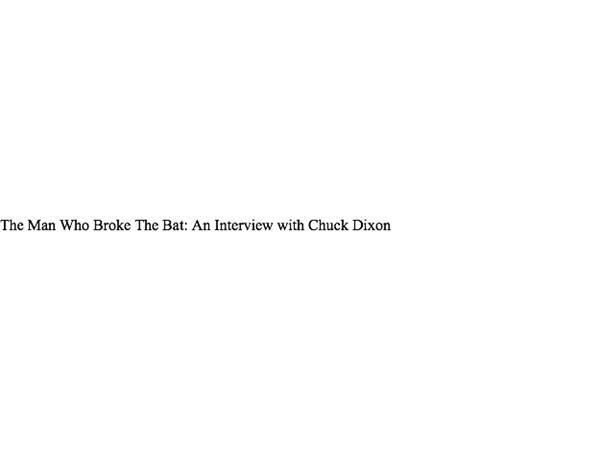 Dixon also gives amazing insight into the creation of The Man Who Broke the Bat - Bane (my favorite!!) - and the crafting of the epic saga "Batman: Knightfall". 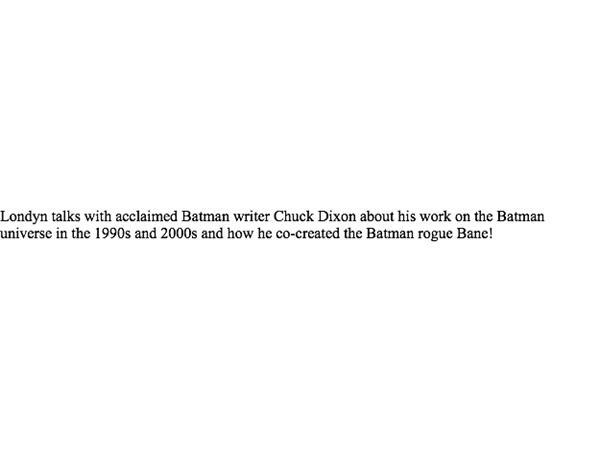 Chuck Dixon helped make the modern Batman family foundation what it is today in current comics and other visual media.